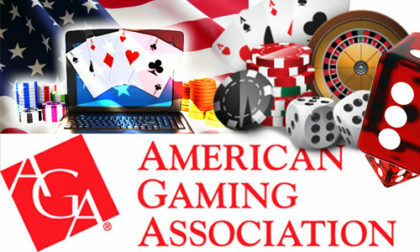 The American Gaming Association (AGA), the United States’ leading lobbying and trade group representing the US’s land-based casino industry, has embraced the concept of individual US states determining their own future as it pertains to sports betting amid a new set of policy principles on the topic. The AGA’s policy update comes as part of the organization’s continuing push against the US’s federal-level PASPA sports betting ban. PASPA, or the Professional and Amateur Sports Protection Act, has effectively barred all US states except grandfathered Nevada from offering single-event sports wagering. The AGA has long been against PASPA, which it has described as antiquated and ineffective, serving only the purposes of organized crime in its misguided goals. The AGA also continues to back New Jersey’s legal efforts to overturn PASPA at the US Supreme Court level, having filed an amicus brief in December supporting New Jersey’s ongoing legal challenge. Ensure a tax regime does not undermine regulated sports betting operations’ ability to compete against illegal offshore operators. As expected, however, the AGA’s embracing of states’ rights within the policy update did not include the online wagering sphere. The AGA remains hamstrung by the active opposition to online gambling put forth by the group’s largest corporate donor Las Vegas Sands Corp. and its CEO, Sheldon Adelson. Despite states’ rights being every bit as relevant to online wagering as they are to the land-based variety, one finds words such as “Internet” and “online” nowhere in this latest AGA policy effort. Were it legal to bet on sports, roughly 28 million Americans – the size of Texas’ population – would be more likely to wager on sports. We’ll have additional findings from the GQR survey in an upcoming feature.